Getting Crafty with Jamie: Check Your BOX! 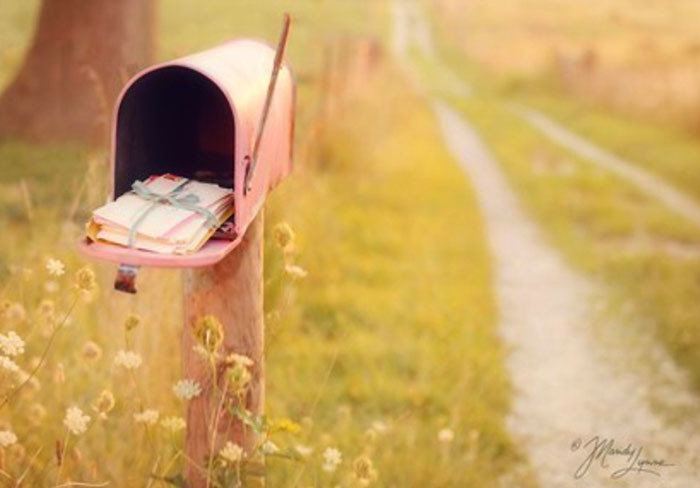 When you go to your mail box (virtual or in person) do you hope that there is a personal note? Something FUN to look forward to? I miss the days of opening the mail to see my Nanna's hand written letters. She was just the best.. she would see me over the weekend and then two days later send me a note - just to tell me she loved me. My Great Uncle Chalmer would send me letters and devotions... we corresponded for years and when he discovered the Internet, he used to email me... he was into his 90's!! No matter the form of correspondence we all hope that there is something fun and possibly a gift in the mail. Shoot, when I place an order... I still feel like it's Christmas and it's something Iiiii paid for! Let meee send YOU something FUN!! Join the Gettin' Crafty Stampin' Mailing List and I'll send you a fun Exclusive Gettin' Crafty Newsletter each month (FILLED with Bonus Tutorials and Projects), Exclusive Specials and Discounts, and more!! Please send this to family and friends, Pin, Email, Facebook, Tweet me... let's invite our friends and family to Join the FUN, too!! I don't receive the emails from my beloved Grandparents, Great Uncle or Dad any longer.. sometimes I think that the sweet smiles of my kiddos, a dewy flower in my garden, the butterflies that light upon our yard.. are little love letters they send to me from heaven. Take a moment and send someone some love. A card in the mail will live a long life on my fridge or shelves... they mean so much! I have boxes with letters sent to me my whole life.. you never know what it will mean to someone.